Have you ever found yourself buying something you don't need, to make yourself happy? Do you spend more when you're stressed? 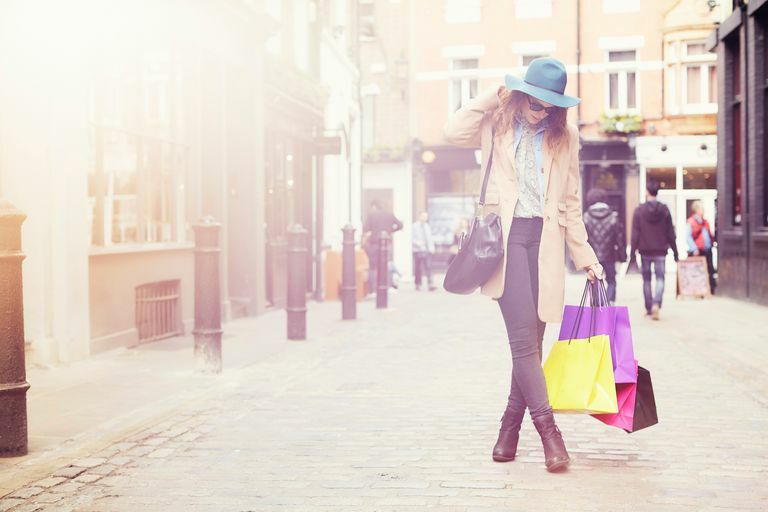 "Retail therapy" is one method of stress relief that many people use consciously or unconsciously -- it's the act of buying yourself a little something to boost your mood when you're feeling low, and it may be more common than you think. How Common Is Retail Therapy? Retail therapy (and even its more intense cousin, compulsive shopping) may be more common than people realize. One study conducted by a Penn State researcher surveyed a group of regular shoppers, all of whom had bought themselves a treat in the past week, and found that 62% of those purchases had been made in an effort to lift mood. Another study on the demographics of compulsive buying found that women and those who were younger (late teens) were more prone to this behavior. When we're under stress, we react to shopping differently. Just as we may naturally crave sweets to lift our moods, and as we respond positively to other pleasures in life, people tend to feel stronger impulses to buy themselves treats for a mood boost when stressed. The previously mentioned survey of shoppers found that 82% had only positive feelings about these purchases and that the positive mood boost that followed these purchases was long-lasting, demonstrating that purchases made as a "pick-me-up" were largely immune to "buyer's remorse" feelings. However, when this type of buying becomes more compulsive, especially when money is tight, it can feel quite different. When shopping becomes primarily and chronically an exercise in mood enhancement, other issues can arise due to unintended consequences. Those prone to compulsive buying can experience extreme levels of debt, anxiety and frustration, the feeling of loss of control, and conflict at home. Because retail therapy seems to be a slippery slope for many -- what can start out as a relatively harmless mood booster could possibly grow into a compulsion that drains finances, causes conflict, and ultimately adds significant amounts of stress -- it's best to be cautious if you find yourself engaging in this type of behavior. Giving yourself a treat from time to time is fine (and is even a recommended strategy for achieving goals), but letting your spending get out of control is obviously counter-productive. De-Clutter: Rather than going out to get new "stuff," you may find the feeling of abundance you crave by looking through what you may have forgotten you already have. You can make it a major undertaking (re-organizing all the closets in your house and moving furniture in the process) or a 10-minute project (cleaning out your junk drawer), and you may find yourself discovering things you'd forgotten you had. In the end, the "new" thing you get will be a less-cluttered environment to use how you choose, which can definitely be a mood booster. Count Your Blessings: Cultivating a sense of gratitude for what you have in your life can help you to feel a sense of abundance that can lessen feelings of desire for more things. Maintaining a gratitude journal and writing about what you appreciate in each day can be a transformative experience. Counting your blessings the next time you feel the urge to make a purchase can help reduce the cravings to get more. Because compulsive shopping can be an effort to "fill a void," indulging in activities that fill you emotionally can reduce your cravings for material items. Spend Less: Sometimes you're just in the mood for a treat, and talking yourself out of it takes more effort than it's worth. If done in moderation and within your means, small treats can be mood-lifters that don't bring lasting debt. Going to discount stores and purchasing one item on an extreme sale can sometimes be just the thing. Better still, getting something inexpensive that will allow you to enjoy a quiet 'moment' (like a cup of tea at a nice cafe, or a scented candle that will brighten up a room) can help you feel that you're enjoying a small 'escape' without going overboard. Positive psychologists recommend the use of 'pleasures' in life, and a small 'retail therapy' investment can indulge the part of you that yearns for something new, without going too far and creating an expensive habit that you can't afford, and the guilt and additional stress that comes with it. As with any advice, if you find that you are unable to manage your stress-related spending, and suspect that your shopping is out of control, it's a good idea to talk to a professional for additional support and expertise. Atalay, A. Selin; Meloy, Margaret G. Retail therapy: a strategic effort to improve mood. Psychology & Marketing, Jun2011. Dittmar, Helga. Compulsive buying -- a growing concern? An examination of gender, age, and endorsement of materialistic values as predictors. British Journal of Psychology; Nov2005, Vol. 96 Issue 4, p467-491. O'Guinn, T. C.; Faber, R. J. Compulsive Buying: A Phenomenological Exploration. Journal of Consumer Research; Sep89, Vol. 16 Issue 2, p147-157.